Default Falcon 4.0 campaign shipped with the original product 1998 which you will find on any Falcon 4 installation around. This theater will have three campaigns on the same time period. Current events, theoretical war between north and south Koreans. The campaigns different from easy (U.S./Combined Forces overwhelming force), medium (equal forces on both sides) and hard (North Korean have the upper hand). Korean terrain is made of greenish textures, including wet and dry farmland, green woods, some brown mountain area and also snowcaps on the highest mountains. Cities are nicely laid out and rivers and roads are going through the landscape. Overall green terrain. 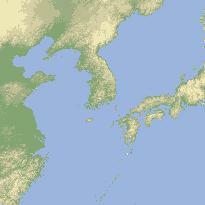 The terrain area are actually quite small in the Korea, lot of ocean. We here theater making scene think it was one shortcut to make theater faster, if you look the image you realize most of it is ocean. This however does not mean its in any way bad theater, just one point to take note. First theater addon produced by the "F4Terrain Team", F4 Community. Visit Official Balkans homepages and the F4Terrain Developer eGroups Forum + Filearea (needs registration). This was the first theater under development, Julian "Codec" Onions put everything on gear by making TerrainView, Tacedit and bunch of Perl scripts to convert DEM data to Falcon readable theater.L2 file format, these utils made it possible to start creating terrain's and F4Terrain Team was born. But due the early start of this theater, it means its terrain is not Spherical conversion. 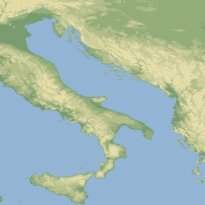 Balkans is totally tiled / textured so you cannot find places in the terrain that look raw or out of place. Many community members helped by hand tiling this theater using TerrainView, it was very large cooperation organized by Chris "Washout" Carter. New textures / tiles have been created in great detail with many terrain types like mountains and such. It contains new 3d models and data edits for weapons and aircrafts. Balkans theater was included in the Falcon 4 Allied Force commercial release by Lead Pursuit. F4ME Official homepage and the F4ME Developer eGroups Forum + Filearea (needs registration). This is the Middle East theater project made by T-Bone, some people find it confusing that which is the middle east theater, ODS or F4ME or... well most part of the tiling of F4ME is overlapping with ODS, meaning if you fly over Iraq / Iran border in ODS and in this theater, you see the exact same thing. This theater project was started shortly after Balkans and is possibly one of the oldest. Terrain tiles/textures are completely new and not using any old Korean ones to give the theater new desert feel. F4ME is theoretical Iran war against U.S./Combined forces and will contain aircraft's and weaponry pretty much of from the present day hardware, F4ME does plan on including some future equipment such as the SU-33 also. 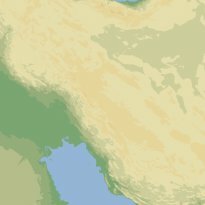 This is a good terrain for historical Iran-Iraqi war in '80. Unfortunately F4ME is dead project, T-Bone has quit Falcon 4 community years ago. 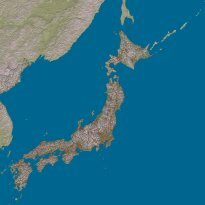 First theater to implement high resolution terrain, meaning 250 meter tilesizes (where other theaters use 1000 meter tilesize) on a 256*256 segment map instead of the Korean 64*64 segment map size making extremely good looking hires terrain (both terrain grid and tile resolution). 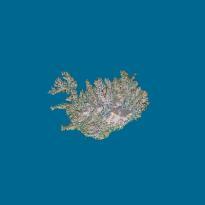 The actual land mass is quite small in Iceland and Naval Operations play a vital part in this theater. However the Campaign will be based around two or more F16 Squadrons, one of them being a Dutch F16am Squad. This theater was made by Widowmaker in early days of theater editing. White winter colors for the default Falcon 4 Korea Theater. It gives totally different mood for the old theater when the ground is covered with white snow. The theater includes only the modified winter terrain tiles, no new campaigns or user interface etc. This theater is obsolete as SeasonSwitcher can make same effect with even more seasons than just winter. by Crossup, ICQ 9165219, Hawaii Theater Forum + File Area. This theater is now in an early beta state Hawaii has being redone in Spherical Conversion, planned improvements include palm trees (SP4? ), volcanoes (done) and better water. The scenario is theoretical based on military coup by radical Japanese who obtain the hulk of the latest Russian carrier and recommission it. Along with a task force of ships of DRPK supporters they attack Pearl Harbor (actually Lihue Island) to start WWW3 and restore Japans honor. 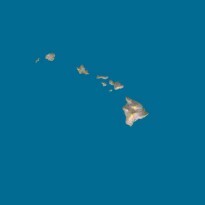 American force levels based in Hawaii are based on the last available FAS data. To increase the activity levels additional American forces are in the area in the form of a carrier battle group. So carrier vs carrier ops are an integral part of this theater. The Hawaiian Theater Website is has pics of entirely new textures I'm working on integrating see Hawaii Theater PHOTOS Forum + File Area. Originally conceived as a test bed because of its small size, the campaign has grown from a meek little one-two flight per squad per day to a mini "WALL of MIGS". To me one of the coolest things is to see how F4 prosecutes a ground war when there is no troop movement between islands (something I hope to fix if possible). Needless to say the "flavor" of this theater is very different for the others available! Try it you'll like it. Made by Death_119, first installer released but now download sites available due size of 100mb or so. Countries included are: Israel, Cyprus, Egypt, Jordan, Syria, Lebanon, West Iraq and West Saudi Arabia. Its aim is to be historical theater with some TE missions and related. Israel theater contains heavy object placement in the city areas and looks very impressive. 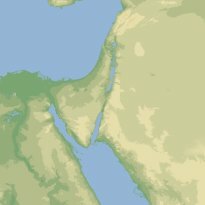 Old Israel Pages. Project (cancelled) is run by 87th Stray Dogs - Theater contains Norway, Sweden, Finland and Russia. Nordic Theater homepage. This is interesting addition to the falcon theaters, the cold north, the place where Russians will ship their Navy out. Terrain in the Norway coastline can be very harsh and the screenshots from some of the mountain areas are very impressive. Here is the latest info directly from 87th Striker posted in our forum he made: Nordic was put on ice for 2 reasons. The development of F4 had so much speed, that putting a lot of effort into manual tiling would be a waste. 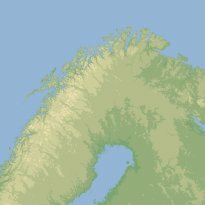 There was made an early installer of it, and TE's was flown from Troms to Kirkenes, with a lot of nice rides through Lyngen :-) The second reason for icing it was that all DEM data was in Lambert projection for the russian part. That meens even more manual labour..... Miran Clemenc stopped developing Dem2L, so nothing could be done there. Julian.. Codec is now working on implementing (I think) this function into his eminent program Dem2Terrain. So...a possible way to reopen the project would be to talk to a certain Lennart in Sweden about some tiles, convert them into F4 doables, use CATE to autotile and TACEDIT to generate new campaigns. Panama Canal scenario encompassing set in the Central American country of Panama. 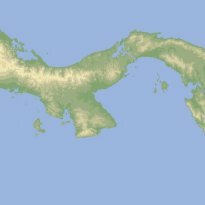 A theoretical scenario where Colombia re-annexe Panama and US Forces in collaboration with the Panamanian Defence Force must fight off the aggressors until reinforcements arrive. This scenario is the first (known) theater to use the smaller 32 x 32 format, giving an area of approximately 250 x 250 miles. It is the creators hope this will lead to compact and fast-moving campaigns, with much involvement for carrier-based ops. The map has been tiled entirely by hand. Japan Theater homepage - My Japanese is a bit rusty, but seems the guys have the theater already downloadable beta. Turkey or Eurasia theater by Krfrge, this nice theater goes just between the ODS and Balkans. Size of this theater is 64 segments, the default Korean size. At the moment of writing this the theater is at early stages of development, no new tiles have been completed etc. It will be another good theater no doubt. The Turkey Theater is designed to fight the Soviets. 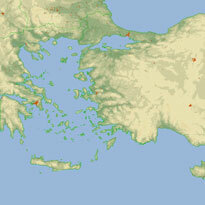 It is based on an alliance between Greece Italy and Turkey. They are opposed by the former Warsaw Pact nations in the region. Krfrge has not been active in the community for years, its reasonable to believe that this theater is dead. In late February and early March of 1999, Ethiopian Su-27s engaged Eritrean MiG-29s. By the end of the war, 5 MiG's had been lost to the SUs in close-quarters dogfights. This war began in 1997 and involved up to 300,000 troops fighting from trenches and fortifications more reminiscent of World War I than any "modern" war. The MiG v. Su marked the only known time that former Soviet front-line fighters have engaged each other in a shooting war. It also marked one of the rare A-A battles in the Ethiopian/Eritrean war. Peace was negotiated in 2001. The terrain is being developed by the F4Spain Terrain Group, wich was founded by Alberto "Halo" GM. The F4Spain Terrain Group has currently nearly 44 members and is open for volunteers Details for enrollment are provided in the F4 Spain Theater Yahoo Groups page. The Groups working language is Spanish, although there are some English-speaking members that would be willing to help non-native speakers. There are no technical requirements for new members, and the Group has various technical abilities with members highly experienced in other Falcon terrains, 3D modeling, Terrain area intelligence and other major Falcon inititatives (such as SP3). The F4Terrain project was started on April 2002 with the idea to develop a Falcon4 terrain covering the maximum of the Spanish territory, including the Canary and Balearic Islands and the North African cities of Ceuta and Melilla. Due to terrain size constraints the area being covered will most likely sacrifice the island of Menorca. The countries included in this Terrain will be the Kingdom of Spain, the Republic of Portugal, the Kingdom of Maroc and a portion of Algeria. The terrain is currently fully tiled with CATE and in the process of being fine-tuned for specific terrain types (such as the vulcanous peak in Tenerife, certain autoroutes and some other specific areas. Due to the rich and various terrain types that can be typically found in the covered area, the Groups objective is to use the maximum number of available Falcon tiles. Hopefully this will be the first Falcon Terrain to use all currently available terrain tile types. We currently have an Alpha version which is flyable in Instant Action mode and we are commencing work in the campaigns. The Group is also working on new 3D models, mainly for characteristic buildings and targets, a comprehensive Tactical Reference and three hypothetical campaigns that will take place in the -not so distant- future and will be based on NATO (mainly Spain and Portugal, with support from NATO units based in the Iberian Peninsulae) vs. North African countries engagements. Canada landscape comes to reality in Faucon and Crazy's Quebec theater which will include theoretical combat environment. Its a 64 segment theater centering to 47.7 -75.2 in Dem2Terrain. Currently they have made basic installer and there is confirmed Instant Action and Campaign working. Very promising theater so far. Quebec Theater Team homepage up and running for additional details. Faucon's email. The Aegean Theater of Operations (ATO) is an alternate theater for Falcon 4.0, created by the Virtual Hellenic Air Force. The theater map is centered on the Aegean Sea, and depicts the southern Balkans region, including, Greece, western Turkey, Albania, Bulgaria, FYROM and southern Yugoslavia (some of its areas overlap the Balkans Theater map). 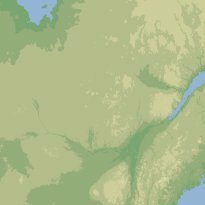 The map is based on a 64-segment map, and unfortunately doesn't include Earth curvature data, since the original terrain elevation data were created more than 2 years ago, when terrain-creation tools for Falcon 4 were much less capable than today. Apart from that, we have made a first effort to add cities, villages and bridges automatically with ObjectPlacer and Village. We'll repeat this step when tiling has been completed, and then we'll try to make a manual cross-check of major objects at least, to make sure they fit properly with their respective tile positions. Airbases have also been added (so that you can take off from somewhere! ), as well as some squadron data. SP4 will hopefully include most of the aircraft types missing at this moment from the ATO, and this data will be updated shortly after SP4 is available. We haven't created any campaign data for the ATO yet (hey, it's a beta, remember?). For the time being, you'll find only a placeholder mission template ("Aegean Tamplate.tac"), which includes the actual countries of the region (Greece, Turkey, Albania, Bulgaria, FYROM and Yugoslavia), as well as the US with a carrier task force. What we have in mind, are two or three different conflicts: some ideas include the obligatory Greece - Turkey - Bulgaria all-out slugfest (with all the hardware these countries have available, in such a small region, it'll be very intense...), as well as a scenario involving tensions in the greater Kosovo-FYROM-Albania region. A late-'80s Cold War scenario with the Soviet Black Fleet versus the combined NATO air-sea forces is also an interesting scenario. BTW, this theater isn't related to the earlier work done by "kfrge". We started working on our theater around Spring 2000, but have been moving rather slowly until now. We've only heard some rumors from other Turkish Falconers that they've lost sight of him too. Perhaps he's still working undercover on his own theater. We should finally have a working ATO Installer for the public in a few days. South China sea. North Africa. If you have any additional information what so ever for these theaters, please contact us.